A discovery by James Cook University researchers means evidence from the past could be used to help predict the danger of earthquake in less-developed countries. A discovery by James Cook University researchers means evidence from the past could be used to help predict the danger of earthquakes in less-developed countries. 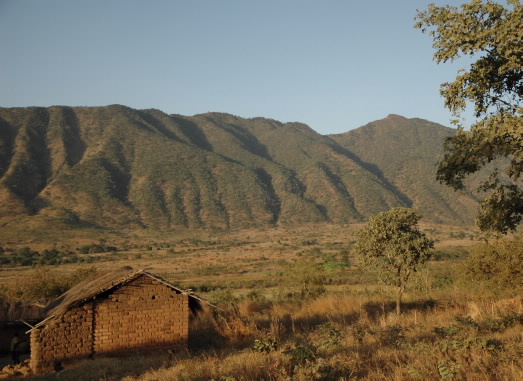 Lead researcher Hannah Hilbert-Wolf and supervisor Dr Eric Roberts used innovative methods to examine the ground around Mbeya in Tanzania where a large earthquake occurred some 25,000 years ago. They found evidence of fluidisation (where soil behaves like quicksand) and upward displacement of material unprecedented in a continental setting, raising questions of how resilient the rapidly growing cities of the region would be in a major shake. Ms Hilbert-Wolf said the team found evidence of massive ground deformation and previously unknown styles of liquefaction and fluidisation, caused by past earthquakes. “This could be a major concern for the growing urban population of East Africa, which has similar tectonic settings and surface conditions,” she said. The study comes on the back of a series of damaging earthquakes already this year, including in Nepal and Papua New Guinea and the study may be of much use in predicting the effects of earthquakes in those countries. “What we have shown is that in developing countries in particular, which may lack extensive seismic monitoring, the rock record can be used to not only investigate the timing and frequency of past events, but also provide important insights into how the ground will behave in certain areas to seismic shock,” said Ms Hilbert-Wolf. In 1910, 7.5 million people lived in Tanzania when the most powerful earthquake in Africa of the twentieth century struck, collapsing houses and triggering liquefaction and fluidisation. By 2050 it is estimated that around 130 million people will live in Tanzania, mostly in constructed urban settings that are more susceptible to earthquake damage and surface deformation than traditionally fabricated buildings.